The Firestone RubberCover System is based on EPDM roofing membranes that are made of a synthetic rubber compound. For almost 40 years Firestone EPDM membranes have been installed on commercial and industrial low slope roofs worldwide offering proven field performance. Today the high quality Firestone EPDM membranes are also available for residential roofing applications. Firestone RubberCover is an ideal, high performing system for a variety of flat roofing applications. 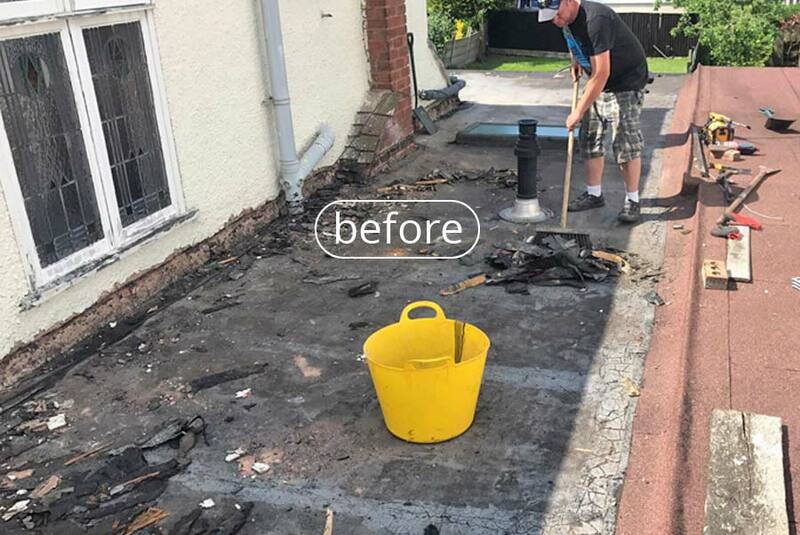 The Firestone RubberCover system offers a unique combination of features and benefits which have been demonstrated on hundreds of thousands of roofs around the world. Single-ply synthetic membrane rubber roofing is ideal for use over low-sloping or flat roofs because it is durable, pliable, and waterproof. 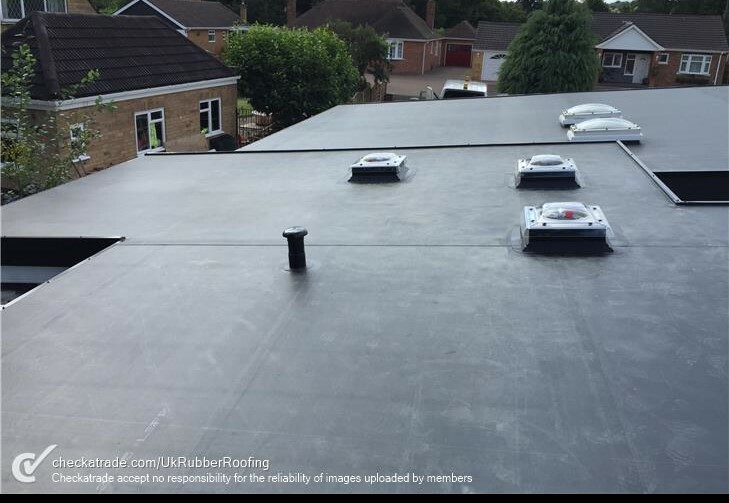 Whether they are made from synthetic rubber polymers or are made from plastic polymers, rubber roofs are perfect in situations where the installation of traditional felt roofs or GRP roofs may be problematic. A good example of this is the installation of a roof with complex penetrations such as: Skylights, Soil pipes, flues and vents. Orangery roofs are notoriously difficult to install correctly as a one piece membrane system. 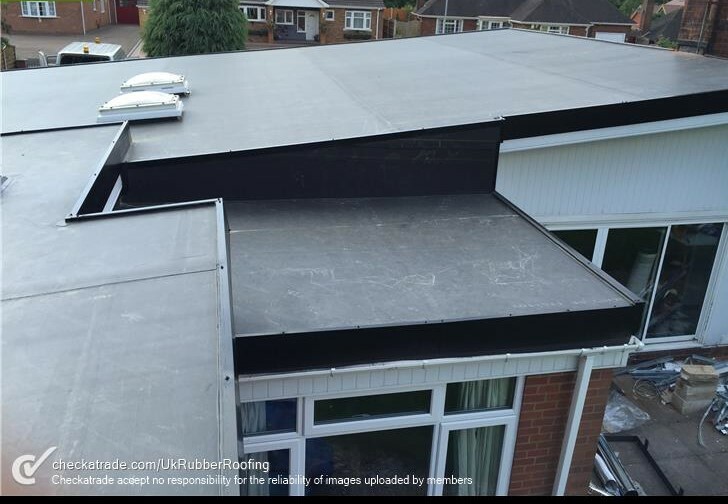 It is very important that the installation of an EPDM roof is not attempted in the rain or in damp, cold or extreme weather conditions. 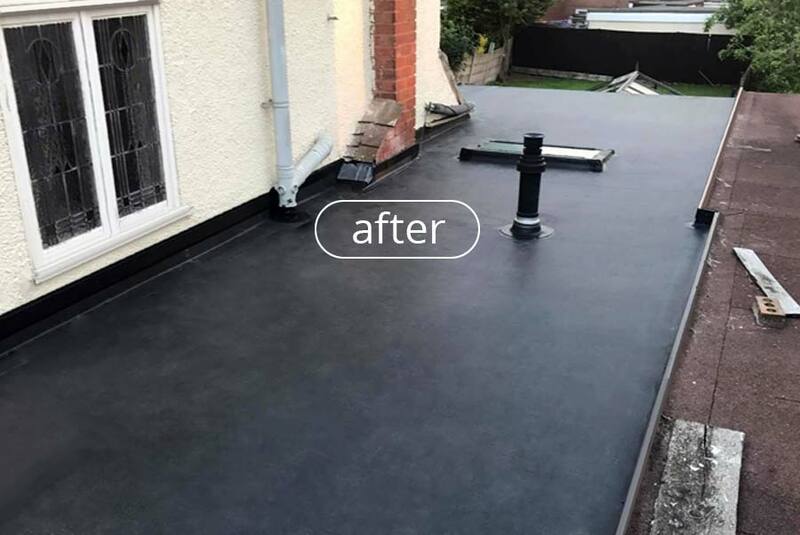 However, the EPDM system is extremely flexible and quite impervious to temperature and structural movement problems, unlike felt and GRP roofing systems. It is critical that all the materials used on an EPDM roof are of the best quality and fit for purpose. What makes our Firestone RubberCover EPDM membrane so special? Well, it is 100% cured single-ply roofing membrane made of an Ethylene-Propylene-Diene Terpolymer. Its unique features and benefits can guarantee you that your Firestone RubberCover EPDM roofing installation is watertight and extremely durable. The proof? For decades, our EPDM rubber roofing membranes have been successfully installed on hundreds of thousands of large commercial and industrial roofs worldwide. 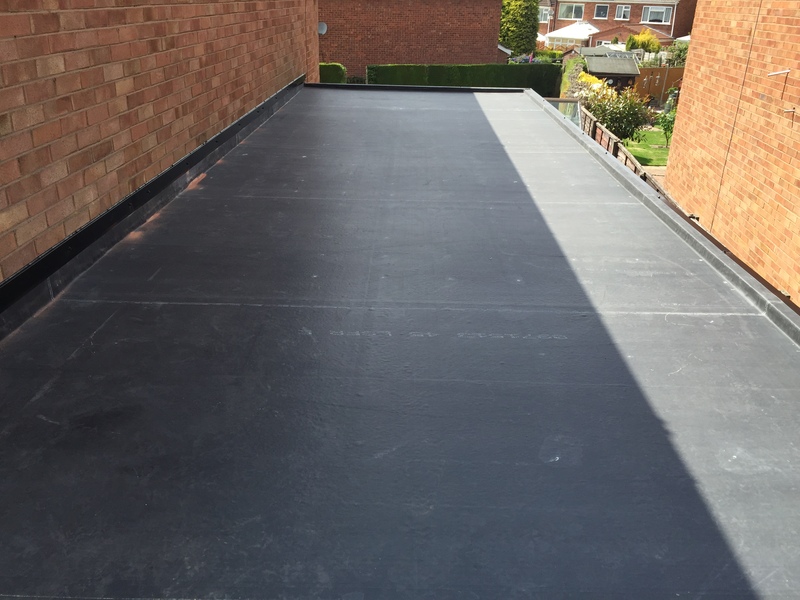 Today, our high-performing Firestone RubberCover EPDM membranes are also available to cover all your small residential flat roofs. Firestone RubberCover EPDM membranes offer unmatched resistance to ozone, UV radiation and high or low temperatures. They have a life expectancy of up to 50 years. We already covered over a billion of square meters of roof installations worldwide. Do you need more reasons to apply our high-performing Firestone RubberCover EPDM membrane in your roofing project? Firestone RubberCover EPDM membranes are available in large seamless sheets up to 15 M in width. [MS-c1] Most small residential roofs can therefore be covered with one single sheet without any field seaming. 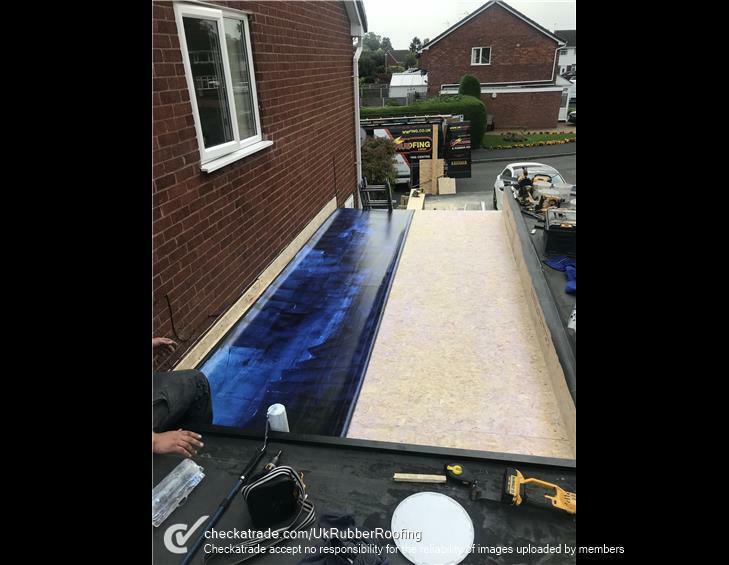 Talking about trouble free installation… Firestone RubberCover EPDM membranes require no flame as the membrane is always fully adhered to the substrate using a cold applied solvent free adhesive. It makes the EPDM roofing installation process quick and environmentally friendly. What’s more: once installed, Firestone RubberCover EPDM membranes requires little or no maintenance! Combined with the membrane’s inherent durability and competitive installation cost this results in a very low lifecycle cost. Firestone RubberCover EPDM membranes remain highly flexible even at low temperatures, enabling year round installation. The membrane can also elongate over 300% to accommodate building movement. Working in an environmentally-friendly way? We support you! Firestone RubberCover EPDM membrane is an inert material with limited environmental impact both during manufacture and installation and high durability compared to other roofing membranes. In addition, our EPDM manufacturing facilities have received ISO 14001 certification for their environmental management system. Good news for you and, above all, for nature. Physical tests carried out at Eurofins, an accredited laboratory recognized for environmental analyses, have shown that Firestone RubberCover EPDM membrane and its assembly system allow the recovery of rainwater. It is therefore possible to recycle the collected water for use as domestic water. Good news for nature! Firestone RubberCover EPDM membrane is available as a fire retardant product to comply with BROOF (t1), BROOF (t3) or BROOF (t4) classification.